The Polianthes Tuberosa is the ideal cut flower, perfect as a gift to family or friends or simply to decorate your home. 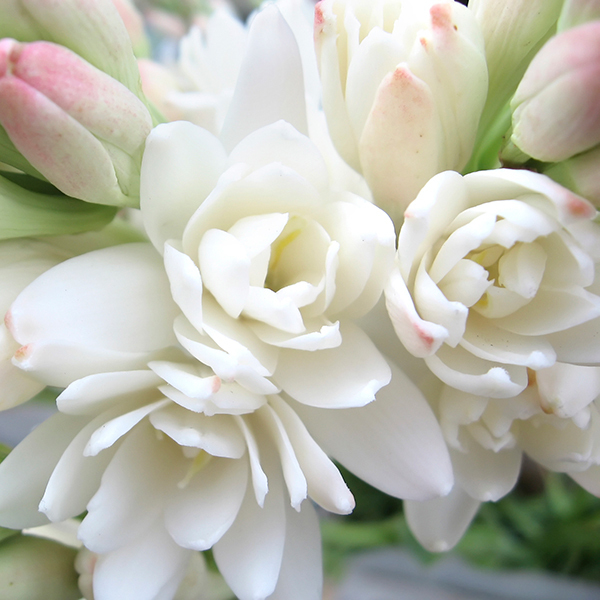 Sparsely found, the beauty of the Tuberose is considered by many a unique breeding achievement. Its fragrant flower presents deep flowers that are white in colour, held up proudly by sturdy spikes and green foliage. Its perfume is most prominent in the summer evenings, especially on warmer days. They will brighten up your borders or patio planters from August - October and reach a height of up to 80cm (31.5") tall. Supplied as: Pack of 10 bulbs, ready to plant.